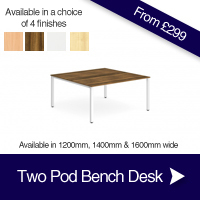 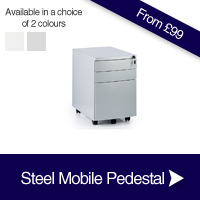 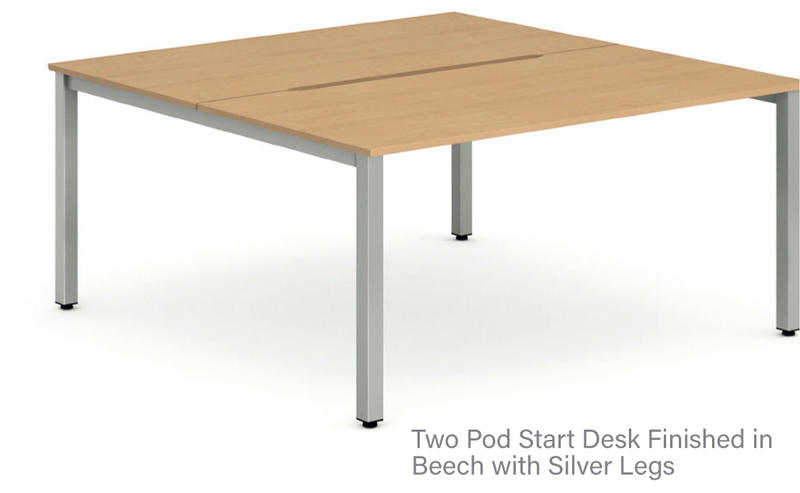 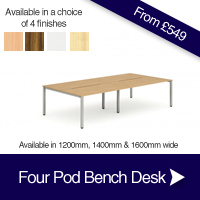 Start with either your single starter desk or a two pod “face-to-face” desk set. Select your desired desk length; 1200mm, 1400mm or 1600mm are available. 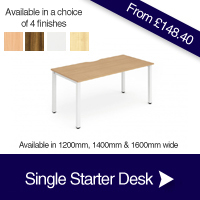 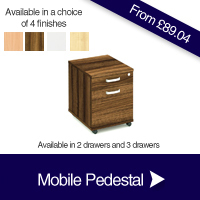 Select which finish you would like the desktops in - Beech, Maple, Walnut and White are all available. 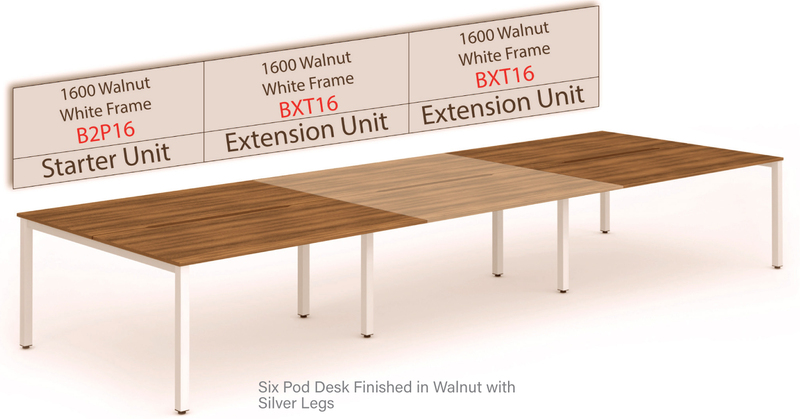 Add the required extensions (either single or back to back extensions) to provide as many workstations as you need. 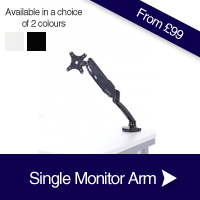 You can mix and match any configuration you want, e.g. 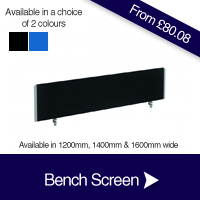 1200mm next to a 1600mm. 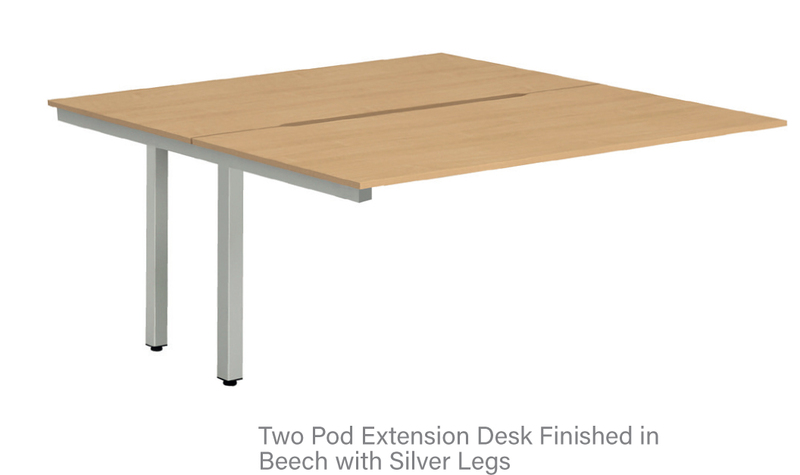 You can now add the accessories to your desks such as desktop sound absorbing screens in blue or black fabric from stock (they can be upholstered in other fabrics to order). 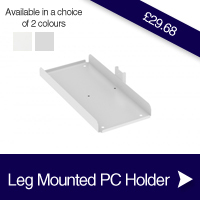 You can also select cable management solutions and monitor/computer holders.